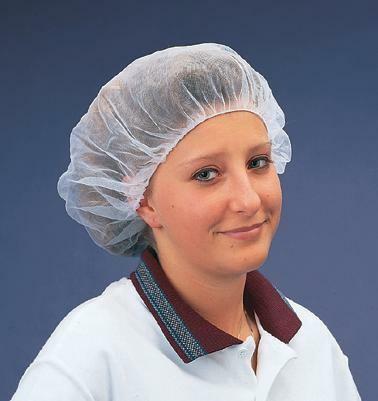 Disposable hairnets including superfine nylon “Stockinet” mesh and heavyweight nylon 1/16” hole mesh are a more breathable option than bouffant caps when hair restraint is necessary but particles are not a concern. Hairnets are not generally used within cleanrooms (see bouffant caps for hair restraint within a cleanroom). Heavyweight Nylon - white, soft heavyweight nylon, 1/16” hole, honeycomb, flame-resistant. Both styles are available in 21" or 24" and sold by the case only. Note: The Heavyweight 1/16" hole style is also offered in black, brown, and blue. Contact us if those colors are needed.